Since the early 1980s, David Byrne has been riding a bicycle as his principal means of transportation in New York City. A few years later he discovered folding bikes, and started taking them with him on music tour overseas. The view from his bike seat has given Byrne a panoramic window on urban life over the last thirty years as he has cycled round cities such as London, Berlin, Buenos Aires, Istanbul, Manila, New York, Detroit and San Francisco. 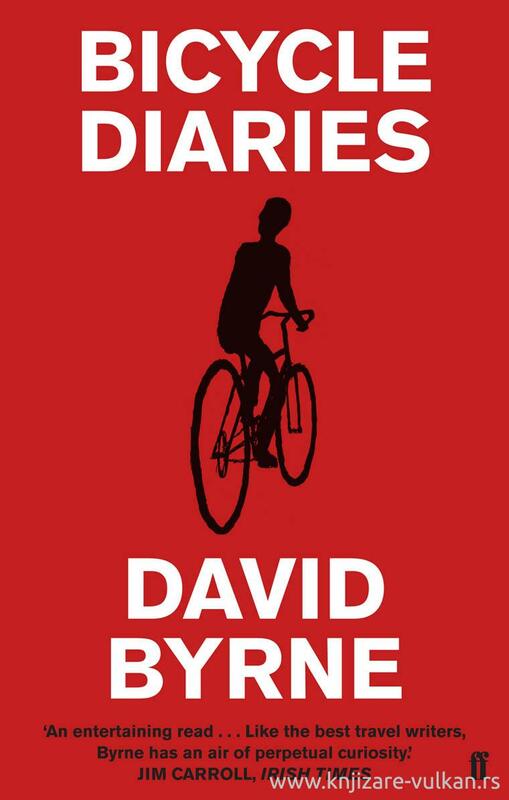 From music and the visual arts, to globalisation, politics, the nature of creative work, fashion and art, this book gives the reader an incredible insight into what Byrne is seeing and thinking as he pedals around these cities. Filled with intimate photographs, incredible musical stories and a powerful ecological message, this is an enchanting celebration of bike riding and of the rewards of seeing the world at bike level. David Byrne is a co-founding member of the musical group Talking Heads. He has produced many solo albums and collaborated with such noted artists as Twyla Tharp, Robert Wilson and Brian Eno. He has received Grammy, Oscar and Golden Globe awards and was inducted into the Rock and Roll Hall of Fame in 2002.